Stricture is a common postoperative complication associated with colorectal surgery. Although some strictures are easily treated, some may cause significant symptoms, including constipation or watery diarrhea, feelings of incomplete evacuation, abdominal distention, and pain, all which have the potential to greatly impede the quality of life, depending on the location. While there are successful treatment options available from balloon dilation to reoperative surgery, several risk factors have been identified that can be minimized both in the preoperative and in the postoperative periods, thus reducing the chance of anastomotic stricture formation. 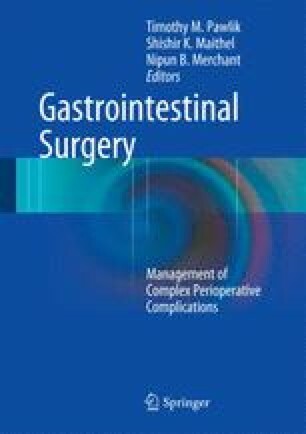 This chapter addresses the presentation, diagnosis, and risk factors for colorectal anastomotic (CRA) strictures as well as the management and treatment.